Citigroup Inc reported higherthan-expected earnings on Monday despite declining revenue as the New York-based lender cut costs, grew its investment-banking business and expanded netinterest margin. JPMorgan Chase & Co on Friday reported that its US consumer deposits were up 3 per cent from a year earlier. Corbat also pointed to the bank’s improved 11.9-percent return on average tangible common shareholder’s equity and the $5.1 billion it returned in capital to shareholders during the quarter. 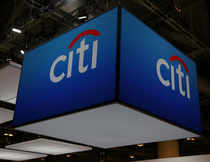 But a 24-percent drop in equities trading pressured Citi’s overall revenue, which fell 2 per cent to $18.58 billion, slightly below analysts’ estimates. Revenue from consumer banking, the bank’s largest business, was flat at $8.5 billion, due to weakness in Asia.